A proported "iPhone 5C" case that appeared on Amazon earlier this week. Apple CEO Tim Cook recently visited China to talk with local carriers, with the topic of conversation expected to have been market growth and the rumoured low-cost iPhone, dubbed iPhone Lite or iPhone 5C. This week, tech.ifeng.com cites sources familiar with Cook's meeting who say that Cook met with China Telecoms senior leadership during his trip to discuss a "new generation iPhone". While the report notes that it's not clear whether the discussion between the two companies has resulted in a deal of any kind, the alleged secret meeting is rumoured to have revolved around the highly anticipated low-cost iPhone. Following tech.ifeng.com's report, China Mobile Chairman Xi Guohua has confirmed to Reuters that he met with Cook on Tuesday, but he did not provide any details about the purpose of the meeting. The Wall Street Journal has also confirmed the meeting. During its most recent quarterly conference call, Apple announced a decline in growth in the Chinese market, so it's thought that the meetings in China aim to improve growth there in the next quarter. A deal with China Mobile could be key to growth in the market, because the carrier has more than 700 million subscribers that could potentially become iPhone owners. Reports of Cook's visit to China come as Apple manufacturing partner Pegatron has been accused of labour volitions in three of its factories by the China Labor Watch. Apple has said that it will investigate the claims, and has issued a response to the abuses report. 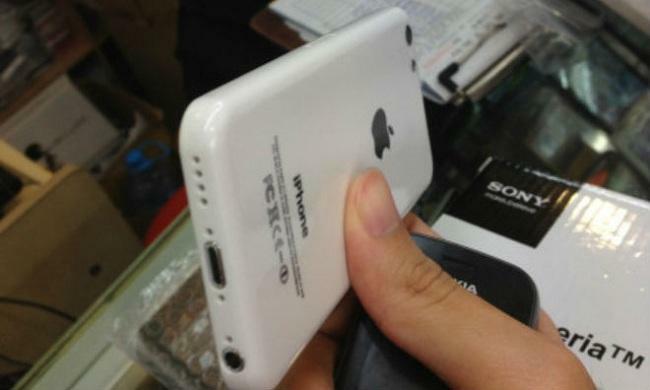 The cheaper iPhone has reportedly been "confirmed" within the labour abuse report.